For Sale Medicated Fish Food – Antibiotic and Anti-Parasite 6 Pack with FREE Shipping. FOR SALT OR FRESHWATER FISH. 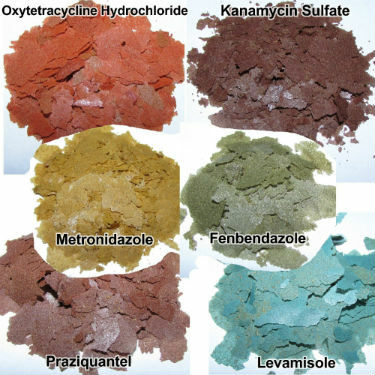 6 Types of Flake Medication for salt or freshwater fish. Extremely Fresh, New medicated fish food put into small 2" x 3" baggies, 1.75 gram of food in each bag. I buy in bulk and offer economical priced meds for hobbyists who don’t need excessive amounts. Why buy more than you need! Comes with feeding instructions. Any questions feel free to message me. Thanks for looking. Praziquantel (Anti-parasite) - "Feed once per day for 5-7 days. 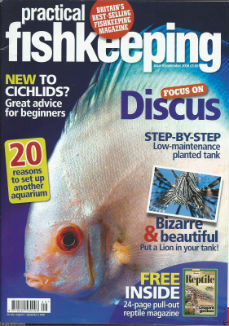 Feed medicated flakes exclusively to maintain fishes appetite during treatment period. Remove uneaten flakes after a few minutes." Fenbendazole - (Anti Parasite) - "Feed once every other day for 10 days or 5 feedings. Repeat treatment after 3 weeks or if signs of infestation reoccur. Remove uneaten flakes after a few minutes. Kanamycin Sulfate - (Antibiotics) - "Feed small amounts, food must be eaten within a few seconds as this medication is water soluable and will lose its effectiveness rapidly when exposed to water. "For best results feed exclusively for ten days. Remove all uneaten flakes. Metronidazole - (Anti Parasite ) - "Feed small amounts, food must be eaten within a few seconds as this medication is water soluble and will losed its effectiveness rapidly when exposed to water. For best results feed exclsively two times a day for six days." 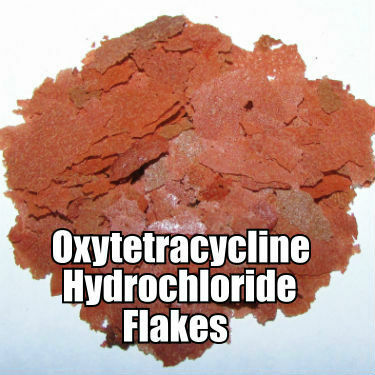 Oxytetracycline Hydrochloride - (Antibiotics) - "Feed small amounts, food must be eaten within a few seconds as this medication is water soluble and willlose its effectiveness rapidly when exposed to water." For best results feed exclusely for ten days. Remove all uneaten flakes. Levamisole - (Anti Parasite) - Feed exclusively once per day for 2 days. Repeat treatment 2 more times within 2-3 weeks. Remove uneaten flakes after a few minutes.